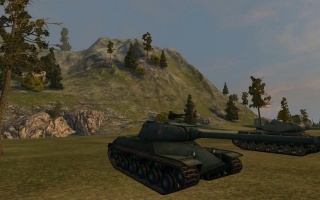 The 110 is a Chinese tier 8 heavy tank. Desde mediados de los 40 hasta los 50, los ingenieros soviéticos intentaron modernizar el IS-2. La variante IS-2U, desarrollada en noviembre de 1944, estaba concebida para tener un casco frontal reforzado con una configuración de blindaje similar a la del IS-3. A mediados de los 50 el proyecto del diseño fue pasado a China y fue la base del posterior desarrollo de blindados chinos. The 110 leads to the WZ-111 model 1-4. 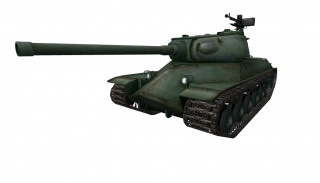 The 110 excels as both a front-line brawler that will bounce many enemy shells and as a flanker. The top gun's high rate of fire dishes out generous amounts of damage to its victims. 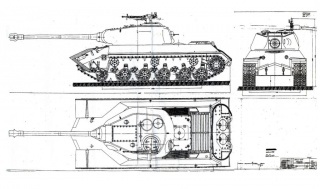 Though the 110 is potential devastating while hull-down, a proper position may be difficult to achieve due to its low gun depression, although it is superior to the IS-3 in this manner. The 110 is stiff competition for other Tier VIII tanks that would normally dominate the battlefield. The 110 also fares pretty well in a Tier IX/X battle due to its powerful gun and potential for flanking maneuvers; however, as with any other tank, care must be taken. The 110 is definitely a keeper amongst fans of the soviet IS line. Some players might be frightened by the gun's seeming lack of damage. However, compared to the BL-9 on the IS-3, this tank is a definite improvement - the top gun has relatively good accuracy, better aim time, great rate of fire, decent damage and the 110 has much better effective frontal armor (nearly 70mm better on the front plate). 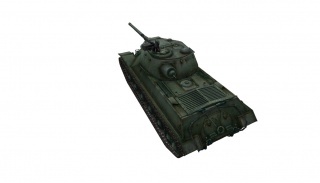 However, the BL-9 on the IS-3 does have an additional 10mm penetration, which might or might not be meaningful to the player. Otherwise, the tanks play very similarly. 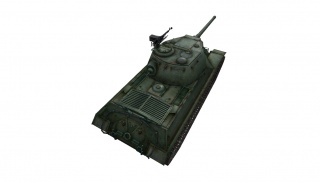 While lacking side armor, the 110 has better sloped frontal armor as well as better turret armor. 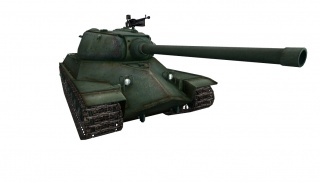 Unlike the IS-3, however, it does not have spaced side armor, and the all-around turret armor is worse. Esta página fue modificada por última vez el 25 oct 2016, a las 09:07.